What is school like in France? I find that a lot of French-language students know little to nothing about their French counterparts. Since I worked in a French high school, we’re going to talk about the French school system! 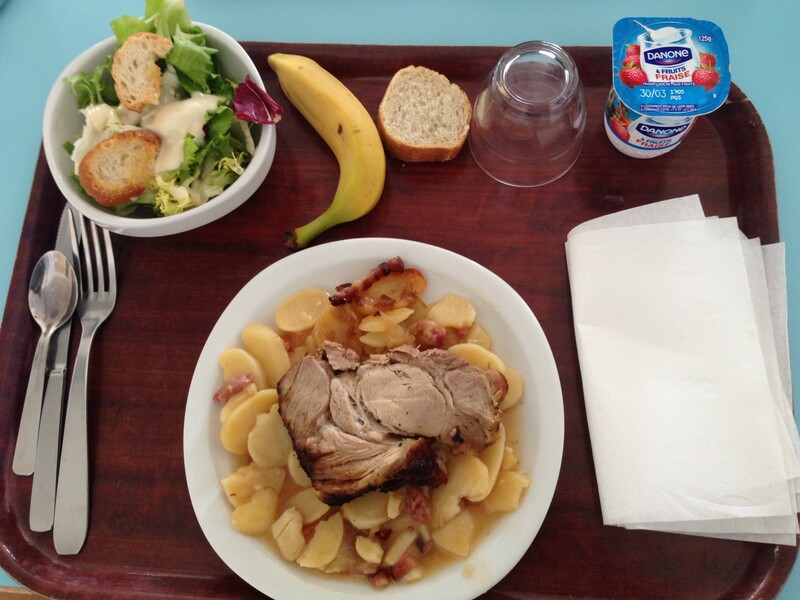 What do French students eat for lunch? What are the grade levels called in France? How do teachers grade assignments? What is it like to go to university in France? The French educational system is a bit different than that of the U.S, the UK, or Canada. So let’s cover it! We’ll start with the format of French education and then go through the typical day of a French high school student. Students in France can start going to school by time they’re 2-3 years old. Sixteen years of education is compulsory in France. 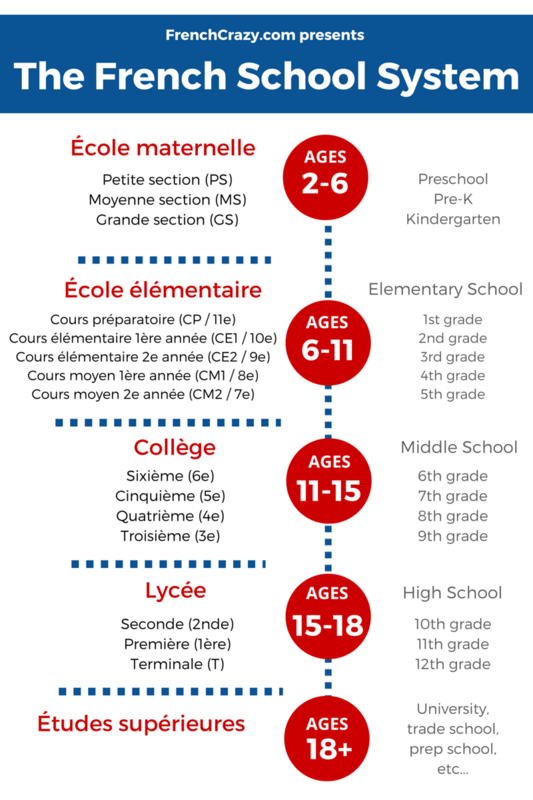 While the French have a similar schooling format to the United States, the names of the grade levels are COMPLETELY different. During the elementary years, French students learn the basics of reading, writing, and arithmetic. Social skills are pushed as well. Le diplôme national du brevet (simply refered to as le brevet) is the first diploma students are required to complete at the end of collège. It’s composed of an oral portion and three written exams on subjects like French, history/geography, math, the arts, and civics. When students enter high school they can choose between a professional, technical or a standard specialization. The ultimate goal is to sit and pass a massive exam given at the end of 12th grade. This exam is known as le baccalauréat (oftentimes called le bac), a powerful diploma in France which helps students further their undergraduate education or start working in their profession. Kids are pushed at a young age to decide what area of expertise they would like for their future. Their classes are then tailored to their decided “major.” For the general diploma students can choose between economics / business , literature & the arts, or sciences. 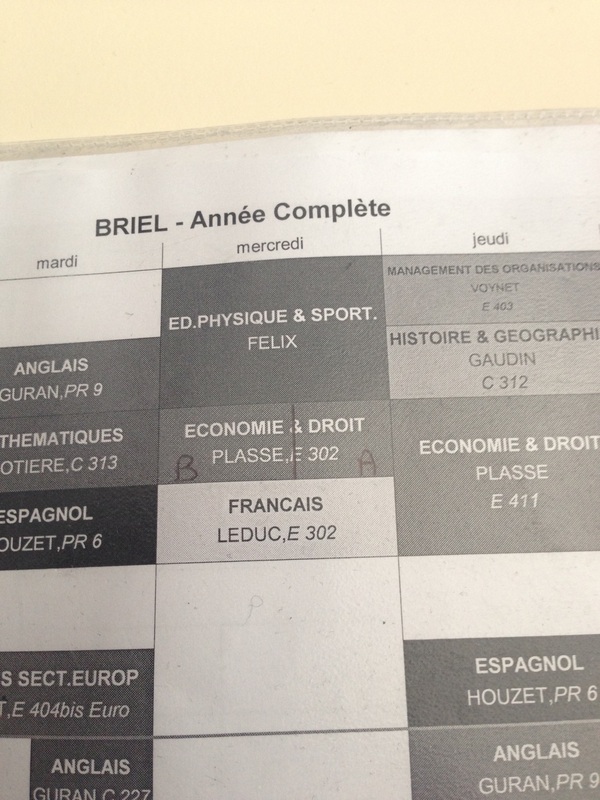 High school in France usually begins at 8:30AM (8h30) and classes can go all the way until 5-6PM in the afternoon. Students commute to school via bike, car, bus, or train. Because schools are centralized, some students live hours away while others only need a 15-minute walk. For this reason, students wake up at around 6:30 – 7AM to get ready for their school day. Those who live far away tend to rent boarding (dorms) from the high school at a low cost. 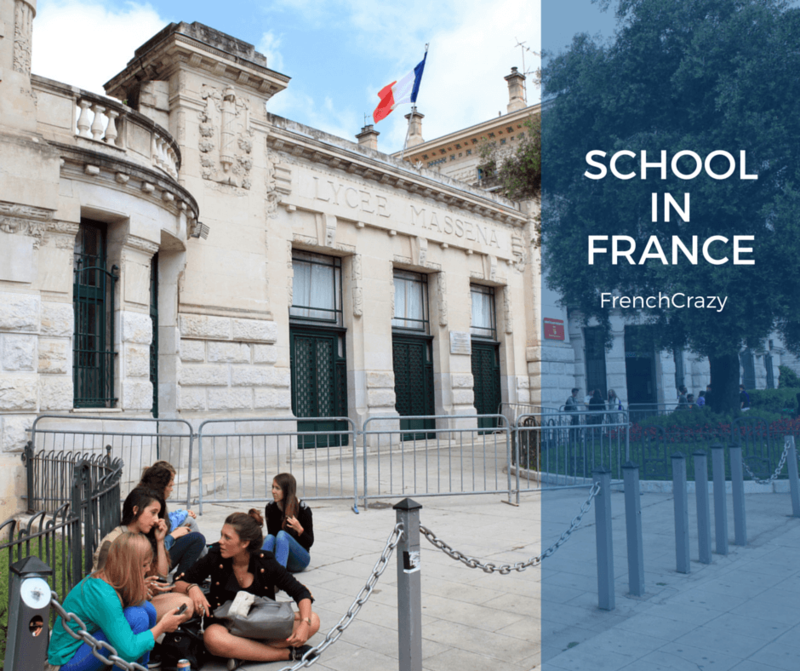 It’s not uncommon for French students to live on school grounds during the weekdays and return back home for holidays or weekends. While the French school day may be longer than that of the States – French students have an OPEN schedule. Classes are blocked off into hour segments. Sometimes students will get two or three hours of free time. They are allowed to leave campus for lunch and only need to be at school for their courses. This means that if your first class for Thursday starts at 10AM, then you don’t need to be at school until 10. It also means that if your last class on Friday is at noon, then you’re free to leave at noon! In French high schools, 25 students who specialize in the same subject (business, literature, etc) are given the same courses with each other throughout the day. So if Paul, Sandra, and Marc specialize in science AND they’re placed into a “class” together – they will follow each other all day. However, schedules do differ a bit because students may choose different foreign languages or take extra “advanced” courses known as EURO classes. Class sizes varied. Most of the classes I’ve encountered had about 20-30 students. Classrooms varied from high tech computer labs to standard rooms with a projector, blackboard, and desks. 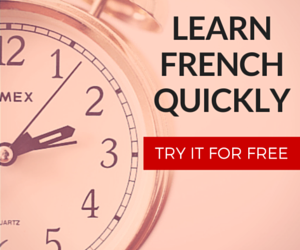 All French students are required to learn one or two foreign languages. There is an emphasis on English – which many students end up learning. Other options include Spanish, Italian, German, Latin or Chinese. By time CM2 (5th grade), students should have A1-level skills with one foreign language. While foreign language education sounds great, only a few French students retain their foreign language skills far into adulthood. Other courses required? Math, science, reading & writing, as well as philosophy and workshops (for professional students). Unlike the United States, there are little to no “extra-curricular” programs, sports, or activities organized by the school for the afternoon. Exams and courses are graded on a scale from 0-20 in France. Zero is a horrendous score saved for those who fail to complete the assignment while twenty is a mystical high-point that few ever achieve. In France, a 10 is average, and depending on the student – that may be a GREAT grade! If you score over 16 on an assignment, it’s amazing. Most kids pass their classes at around an 11 or 12. Some finish with a 13. The exceptional students earn anywhere from 15 – 17 out of 20. Instructors have the flexibility to decide the “worth” of assignments. This is because students are given a global grade out of 20 by time the year ends – regardless of whether there were ten assignments or fifty. Failing the year and being left behind is common in France. According to Wikipedia, 38% of French students under the age of 15 have been held back at least once. Studies show that holding students back may not be effective at helping academic success. When I helped French students in their English classes – these problem students could be spotted. I hold a belief that lazy language students never succeed and felt as though this explained some of their failure. Lunch is usually served from 11AM until 1:30 / 2PM. The school I went to charged just over 4 euros for lunch. Lunch featured your choice of veggies and fruit, one dessert item and one dairy item. There would be two main meals to choose from and usually these were meat-based although occasionally they offered a vegetarian option. There wasn’t any juice or soda to drink, just water. School lunch varies by school, but this seemed to be a common configuration. The food at school was mostly generic but it had a “French flair.” Pasta, rice, couscous or potatoes were a staple of every meal. The meat typically had a sauce and would vary from fish to chicken, pork, or beef. Students also had the option to eat off the premises. While some students returned home for lunch, others preferred quick meals. Around lunch-time the local restaurants, bars, and cafés would be flooded with kids. Many would grab sandwiches, burgers, “tacos” or kebabs – all served with a large helping of fries. Le Bac is a very difficult exam at the end of “terminale” or 12th grade. This global exam covers multiple subjects: from philosophy and French to the sciences, maths, physical education, foreign languages, or history/geography. Essentially, EACH COURSE gives their students a difficult oral or written exam, assignment, or project. The composite score of every class final creates a global Bac score. The total weighted average of all your final exams must be over 10/20 to complete high school and earn your Baccalauréat. Students who earn 12, 14, 16, 18, or 20 points are all awarded honors. Exams may be graded by the student’s own teacher or a teacher from another institution. What makes the exam stressful is that it can cover any topic from the entire year. Oral exams force students to present material on the spot, usually without prior preparation or notes. Most oral exams have a “jury” of 2-5 teachers, each one grading the student according to a set criteria. Written exams last for hours. Final projects or internships take weeks or months to complete and the work is heavily scrutinized. The final exams are weighted differently depending on your specialization. Students who specialized in science, for example, would take biology or chemistry for their Bac. Their bio and chemistry exam scores would then contribute MORE to their overall Bac score than it would for a literature or business student. Sometimes the score is multiplied by a coefficient of 20. This means that your biology score may be worth 20 times more than your score on your English exam. Hence, business student place more emphasis on their upcoming marketing final while those in literature would cram for their French literature exam. Once a student takes all of their final exams – the grades are calculated and compiled. The exam scores are released across the nation on the same summer day. Students return to school, in droves, to find their final results posted outside of the school for all to see. This event alone makes national television each and every year. NOTE: You’ll have to watch these videos on YouTube.com because the owner does not allow website embedding. French students who pass are merry. They compare grades, high-five one another, or call their parents. Those who scored between 8-10/20 have a chance to retake one exam and attempt to earn a 10. The students with fewer than 8 points are given two options: retake senior year or drop-out without a diploma. Once students have their Baccalauréat they could join the workforce or attempt to attain a more prestigious diploma. Some opt for a 2-year technical degree or specialization. Others go for their License (BAC + 3 years) [U.S. Bachelors degree equivalent], their Masters (BAC + 5 years) or their Doctorat (BAC + 8 or more years). Medical doctors need 8-11 years to become practicing healthcare providers. Dentists and pharmacists require 6 years after their BAC. FIRST OFF: university in France is very affordable. You can expect 200 to 500 euros a year for tuition. This is the price range for MOST schools and this seems to be a trend across the EU. A small subset of the most prestigious schools can charge upwards of 8,000 – 10,000 euros. It’s fine though – their students become doctors, lawyers or politicians so the professional salary oftentimes negates the costs. Similar to the French high school system, universities in France don’t feature collegiate sports or much in terms of extra-curricular activities. Universities vary from small campuses to one large administrative building. Your courses could be in lecture halls or classrooms – it all depends on the school. If you want to study in France as a foreigner, you typically need proof that you can speak French (DELF/DALF exam). Students who do not originate from the European Union also need to acquire a student visa. If you do obtain a student visa, you have the ability to work in France for a couple hours a week to supplement your income. CAMPUS FRANCE is the official government website that can help you prepare for your studies in France. They also offer advice on how to live in France. I recommend this website. France does receive a considerable amount of foreign students into their university system. However their numbers vastly pale in comparison to the United States. The U.S. holds some of most prestigious universities in the world while the first French university doesn’t break the top 20, worldwide. There are 2 French universities in the top 50 though! From my experience roaming around both American and French universities I find that the if you pit the best American universities to those in French – the facilities and scale of American universities tend to be bigger, larger, and better financed. That’s not to say that quality institutions don’t exist in France. Look around and make an informed decision based on your needs. If you want ot teach English in a French school, find out how. That sums up school in France! Liked the article? Feel free to share it or leave a comment below. If anything is missing or unclear, your thoughts can help me modify the article as needed. Any ideas if there is a website or a resource I can use to calculate how brevet scores translate into an American school? My son just moved from a french school and we are now in the USA, and wanted to know if there is some where i can use to calculate what his scores translate into. sorry i have took two years to answer your question. i dont know that one though but happy birthday. good morning and if i dont see you good afternoon, goodevening and goodnight. thank you so much for this! very helpful and interesting. Thank you! This helped a lot with my French Project! That’s great to hear Grace.